Naturopathy is based on the principle that optimal health requires a balance between our mental, emotional, physical and spiritual needs. With this balance, we can connect with our own healing energy and that of the earth. 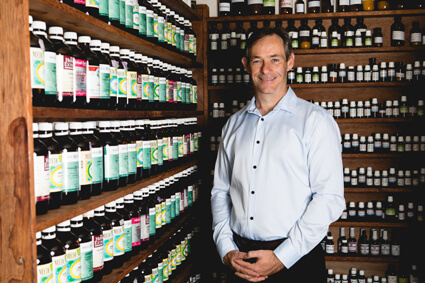 Queanbeyan chiropractor Dr Marcus Chacos is qualified to evaluate your health, providing recommendations that can address your challenges and bring you to the greatest levels of wellbeing. The Provolution Health approach is three-pronged, involving diagnosis, treatment and personal empowerment to assist you in the healing process. We’ll uncover the reason for your symptoms, detailing the nature of your problems in understandable language. A variety of diagnostic techniques may be used to locate the cause. Then we’ll prescribe treatment that might involve herbs, homeopathy, diet and nutrition, supplementation or flower essences. Then, you’ll be empowered to understand your needs, optimising your healing potential and facilitating health from the inside out. You’ll be armed with the knowledge you need to remain healthy for a lifetime! Another example is that when a homeopathic preparation of the herb arnica is given, a person will usually bruise without trauma to their skin. When given to people with bruises, however, their bruise heals more rapidly than without arnica. Stems, leaves and roots can make herbal medicines and oils that have medicinal qualities. In 1930, Edward Bach noticed the healing effects plants could have on people. The scent of certain flowers also has the power to generate certain responses or mood changes. After looking further into it, Bach determined that certain flowers weren’t just medicinal, but helped emotional healing and could be used for therapy. Ian White created an Australian Bush Flower range for the unique flowers native to Australia. Just think of how uplifting it is to walk through a flowering garden when you’re not feeling great! It’s a form of vibrational or energetic medicine. Using plants and plant extracts as remedies is the oldest form of medicine known to mankind. It remains the most widely practiced form of medicine today! Medicinal plants contain substances such as alkaloids, antibiotics, gums, minerals, resins, trace elements and vitamins. They can give therapeutic effects and may reduce inflammation, irritation and aid in digestion while strengthening the body’s systems and organs and boosting the healing response. Many of today’s well-known drugs, such as morphine, actually originated from plants. The plan based approach, however, offers less side effects with oftentimes, equally beneficial results. In fact, there is very little a drug can do that a herb cannot. 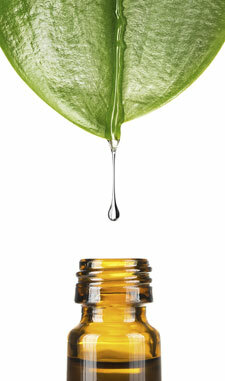 The essential oils of certain plants have an effect on us and can give specific healing properties. By smelling these oils or putting them on skin, you can reap their many benefits. The latest technology in diagnostic equipment and treatment protocols provides all of Provolution Health’s clients the most up-to-date, comprehensive care. Vegatest, or electro-dermal testing, utilises an electric current and meridian feedback to determine the energy and health status of your body’s organs and systems. It can identify the presence of allergies, exhaustion and other biochemical interactions. An indicator for blood sugar, the state and function of insulin and the likelihood of diabetes, looking at fructosamine (a glucoprotein) allows us to accurately and specifically direct your care. Your cholesterol/HDL ratio is an indicator of your vascular health, providing feedback that determines your vascular and coronary heart disease risk. We can also look at other measurements such as glucose levels, lipoprotein levels, total cholesterol and triglyceride levels. Your liver enzymes are essential for digestion and the breaking down of toxins. This test looks at your liver function and systemic overload, giving invaluable information in determining which detoxification treatment protocols are suitable for you. A measure of the presence and extent of leaky gut syndrome, the Urinary Indican test is another way of looking at toxicity. With this test, we look at gut permeability and integrity, giving information about whether our Gut Regeneration and Repair Program will work for you. Your blood oxygen saturation level should be about 95%. Factors such as air and food pollution, poor breathing habits, insufficient exercise and accelerated aging may give symptoms of oxygen deprivation. If you’re experiencing fatigue, tiredness, anxiety, depression, recurrent or chronic illness or other health concerns, we can accurately determine if you need support in this area to accelerate your healing response. Is your body keeping up with you, or is it aging faster than your years? This scientifically validated test measures the biological markers of aging, such as cellular fluid levels, cellular toxicity, cellular vitality, fat mass and muscle mass to look at your biological age. It’s a diagnostic tool to look at underlying factors affecting your health and can assess the effectiveness of your treatment as you progress. X-rays allow the practitioner to identify structural reasons for pain and dysfunction. Arthritis, fractures, loss of structural integrity can all be observed and assist in an accurate diagnosis. Working with your GP or specialist, blood tests can identify physiological reasons for the symptoms a client presents with. Find out more by contacting our knowledgeable team today! We look forward to speaking with you. Free parking is available on-site, and you can apply your insurance coverage to your visits.